Winter in Paradise will be released on October 9, 2018. 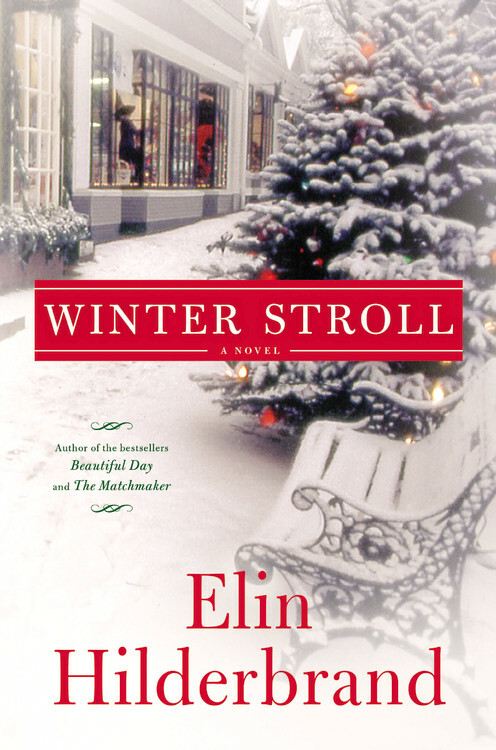 The start to her new Winter series, Winter in Paradise is a not a Holiday novel (like the Winter Street series), but it takes place in January, hence the “Winter” series. Most of the novel takes place on the island of St. John in the Virgin Islands, a much loved vacation and writing destination of the author, Elin Hilderbrand. All of her previous books take place on her beloved home of Nantucket. Readers will love the rich setting details Elin writes into each scene, allowing them to feel like they are experiencing St. John, right along with the characters. Irene Steele lives in an immaculately restored Victorian home in Iowa City, Iowa. She has been happily married to Russ, a business man who travels frequently, for many years. They have raised two sons, Baker and Cash, who are both adults making their own decisions, both good and bad. Baker is a stay-at-home dad to his 4-year old son Floyd. He dabbles in day trading while his wife Anna, a cardiac surgeon, mostly supports the household. The younger son, Cash, lives in Colorado where he manages two outdoor supply stores (handed to him by his father), both of which he has run into bankruptcy. The only thing he has left to his name is his beautiful golden retriever, Winnie. Irene is feeling blue, spending New Year’s Eve along with Russ away on yet another business trip. She has surrounded herself with luxury in her spare-no-expense home, but with no one else to share it with, she is sort of lost. Out of the blue she receives a phone call from the secretary of Russ’s mysterious business partner, Todd, whom Irene has never even met. She is told that Russ was involved in a helicopter crash in the Virgin Islands and that Russ, the pilot, and a local woman were all killed. Reeling from this news, she is then thrown for another loop when she is told that Russ has concerns there and owns a property. Irene decides that she must go to the Virgin Islands to tie up any loose ends with the property and figure out why Russ had a home thousands of miles away that she knew nothing about. What and who she uncovers in the Virgin Islands will change her life forever. I won’t give away any more plot, because you’ll have to read it yourselves. Irene and Russ aren’t the only ones with drama in this family. Just wait until you read about Baker and Cash – like father, like son, as they say. Written in alternating points of view between five characters, the story unfolds over the course of just a few days. This book was fabulous. I couldn’t put it down! The story line has just the right amount of romance, betrayal, suspense, humor, and rich details of the Virgin Islands. And, of course, it ends on a bit of a cliffhanger. I can’t wait for the next installment to come out (do I have to wait another whole year!?). Here’s to Us will be published on June 14, 2016 by Hachette Book Group. Deacon Thorpe, celebrity chef and well-known bad boy with a healthy appetite for living life to the fullest, has passed away unexpectedly at his summer cottage in Nantucket. Left behind are two ex-wives, his widow, and three children (one from each marriage). The only connection between Laurel, Belinda, and Scarlett is their love and devotion for Deacon, even after his many faults, addictions, and poor decisions. His three wives couldn’t be any more different. Laurel was his high school sweetheart, Belinda is a high-profile actress who won him over with money and glamour, and Scarlett was the younger, bombshell nanny which he couldn’t resist. Deacon’s will designates that the whole family gather at the Nantucket cottage to spread his ashes at sea, which brings us to the story. His family, along with his best friend, Buck, begrudgingly head for Nantucket to spend the weekend together. As if the story needed to be livened up even more; Buck has always had his eyes on Deacon’s first wife, Laurel. There is also a bit of drama going on with each of Deacon’s adult children, Angie and Hayes. Throwing these headstrong, grieving family members together in cramped quarters (with a lot of wine and whiskey, of course) makes for some interesting confrontations, to say the least. As memories of Deacon are shared and secrets are uncovered, tensions run high and some surprisings things occur. The plot moves along rather quickly, all taking place during one weekend, with flashbacks to the past mixed in to give readers background information on each of the women’s relationships with Deacon. Sound like a crazy plot? It is! But, as always, Elin Hilderbrand makes it work oh so well, with just the right amount of humor, drama, romance, and cat fights. She has created the recipe for a great romantic drama which readers will absolutely love until the very last page. Another really cool addition to this book are the actual recipes that are included, such as Deacon’s famous Fluffy White Champagne Cake with Champagne Candied Strawberries and Clams Casino Dip, to name a few. As with all of her novels, Elin set this story in her hometown of Nantucket, causing readers such as myself to long for the quaint streets and beautiful beaches. I would love to visit Nantucket some day and catch a glimpse of some of the places mentioned in her novels. I loved this book, and I can’t wait for it to be released this summer.